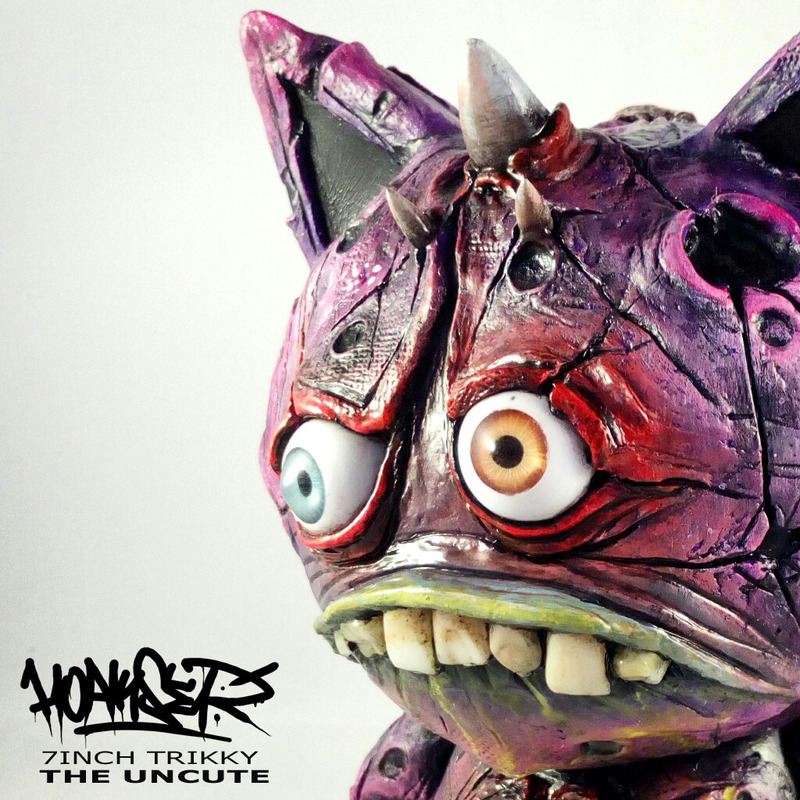 This custom 7 inch Kidrobot Trikky is the first vinyl toy I've worked on for a while but what this thing lacks in cuteness it makes up for with personality and teeth.. Despite it being sculpted all over, this piece still has it's articulation (head and arms) and has lots of details and textures including an embossed Hoakser patch.. After many hours of sculpting and a small amount of sanding had happened, it was then carefully painted with acrylics before finishing with a coat of clear lacquer.. If you'd like to pick up this piece because you can't resist his little adorable un cute face, head over to my Bigcartel store for a closer look..